A crooked property developer attempts to remove a mysterious group of squatters from his land. The subject of ancient natural forces and eco-horror is little explored in the realm of horror film. Crow is certainly an original enterprise in that regard. 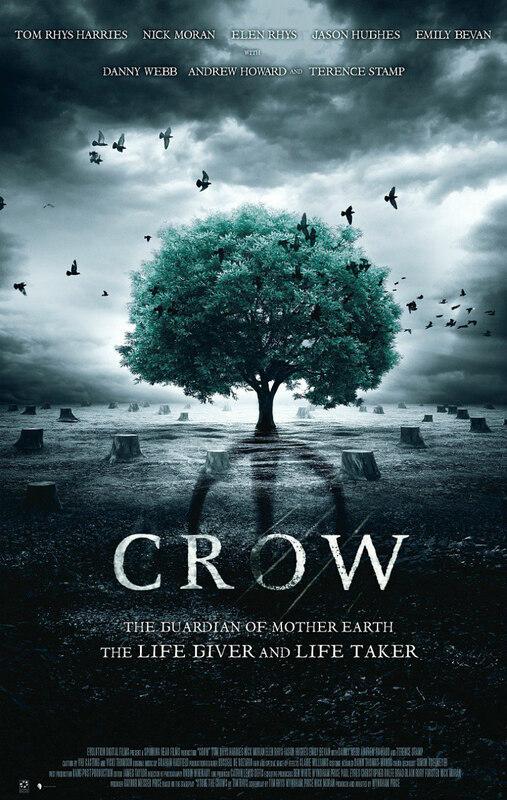 First let’s be clear about one thing: this film is NOT a remake of the 1994 movie starring Brandon Lee, this is a British movie based on the play Stone The Crows by Tim Rhys and filmed in the Vale of Glamorgan, Wales. It concerns wealthy crook turned property developer Tucker (Nick Moran), who buys up some ancient woodland with the intention of clearing it to build a stately mansion house for himself and his young wife Alicia (Elen Rhys), mainly to pander to his own hubris and vanity. 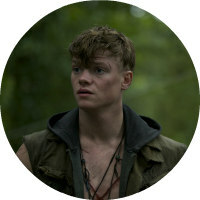 The settlers see themselves as part of an ancient pantheistic tribe, and their youngest member, Crow (Tom Rhys Harries) appears to be the one most in touch with this heritage. Her anxiety grows as she and Jill (Emily Bevan), one of the site managers, begin to research into the history of the surrounding area and soon uncover some disconcerting information. As Tucker becomes more determined to destroy the wood and replace it with his own vision, a strange, mystic and bloody battle ensues between him and the presences in the wood, now manifest in the boy Crow. Tucker doesn’t comprehend the invisible influences around him and, spurred on by pride, fails to realise that he is contedting with a young man who has the mythic power of nature fighting alongside him. Tucker and his men are soon to feel the force of a terrible retribution. Crow considers what extremes people may go to to protect what they believe and when they perceive their precious world is being threatened. 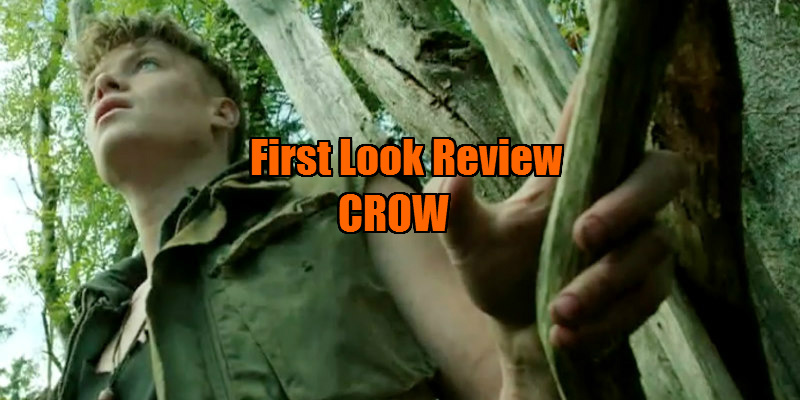 Crow was viewed at Frightfest 2016.